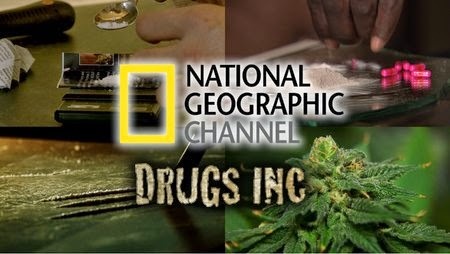 National Geographic Channel's Critically-Acclaimed Series - Drugs, Inc. will be premiering a brand new episode - "Mardi Gras" - on January 14th, 2015 at 9 pm Eastern. Roughly a year ago, Diary of a Motor City Hit Man: The Chester Wheeler Campbell Story author Christian Cipollini was contacted by the producers of the series, who were seeking some behind-the-scenes assistance. Specifically, producers needed to locate individuals familiar with the narcotics business that flourishes during New Orleans' famous celebration. Word of mouth and colleagues looking out for colleagues is everything in the true crime/organized crime publishing business. After speaking to author Seth Ferranti of Gorilla Convict Publications, producers were encouraged to then speak with Cipollini, who then assisted putting some knowledgeable people in the Louisiana area in touch with the show's producers. The episode overview states: "Mardi Gras means two months of crazy carnivals leading to one of the biggest parties in the nation. But as tourists flood New Orleans, so do drugs dealers eager to make a profit." Cipollini served as a Consultant during preproduction and as a Location Producer. "This was the first time I consulted for a show behind the scenes," Cipollini says. "The other crime shows I've been involved with were on-camera experiences, so this was definitely a new and very different experience." Christian Cipollini is an organized crime history researcher, freelance writer and collector of rare crime history photographs. He is the author of Diary of a Motor City Hit Man: The Chester Wheeler Campbell Story, Lucky Luciano: Mysterious Tales of a Gangland Legend, and Murder Inc.: Mysteries of the Mob's Most Deadly Hit Squad. He as appeared on Biography Channel Series "Gangsters: America's Most Evil" and History Channel Series "United Stuff of America."